How can we establish countermeasures about this situation for sales of functional ingredients? 1.- The Euromonitor International has announced The consumer Health market of Korea should be focused on the Vitamins and Dietary supplements. The global consumer health market includes OTC drugs, vitamins, Dietary supplements, Sports nutrition, weight management, allergy care, muscle supplement, and herbs dietary supplement among of these segmentation sports nutrition is expected to show a high annual growth rate of 12.3% over the next five years. In Euromonitor, Maturing Korea consumer health is ranked 4th in the vitamins and health functional food and herbal health supplements market in the world and also, the average consumption per capita is now the 3rd of taking vitamins and dietary supplements. 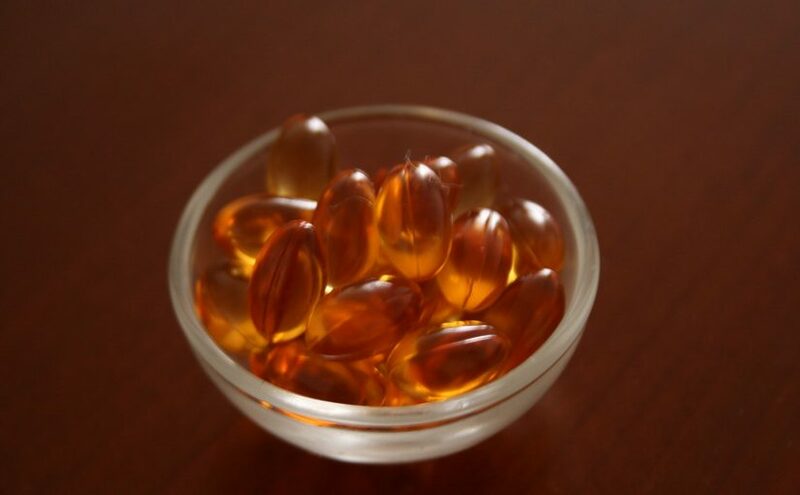 Thus, the information encourages to focus on the vitamins and dietary supplements market for Korea sales. 2.- Low growth, stabilized stage of the market need to target one or two products with a clear concept than a comprehensive brand of large scales line up strategy. The modern consumers in Korea tend to value consumption based on increasing their knowledge of functional foods. Therefore, exaggerated and false advertising or high price or exorbitant discount about 70~80% can be one of the factors to lose the trust of customers. The consumers recognize the functional foods as a preventive “Healthy lifestyle” not a “treatment”. Thus, to stimulate consumers’ purchases desire we need to make products without falsity and excess information and reasonable price for the main ingredients through a personalized line up of functions as inner beauty, eye health or weight management etc. 3.- The recent marketing keyword of health functional food is “fine dust” in Korea. According to EPI in 2018, Korea was ranked 60th in 180 countries. In the past, the recognition of fine dust was a temporary phenomenon in the spring*winter seasons with yellow dust but according to the air conditions data of Korea in 2018. The November17-March18 was highly polluted in the center of the metropolitan area but the May-August 2018 in Summer season was showing a high pollution level in the south area of territory ( Yeongnam, Busan, Ulsan, and Gyeongnam). It showed a contradictory pattern but as a result, consumers realize the seriousness of fine dust problems and have an interest in prevention or substitute products against the situation of fine dust. Therefore, our Zeropollution not yet introduced in South Korea as ” Protect and repair skin from the visible and invisible photopollution damage”can be remarkably started on the new categories of functional claim in 2019. 새해에는 언제나 희망과 걱정이 공존합니다. 하지만 2019년 많은 경제학자들은 한국의 거시경제에 대하여 비관적으로 예견하였고, 이러한 환경에서 한국의 기능식품시장또한 판매가 부진할 것으로 예상됩니다. 우리는 어떻게 하면 이러한 상황에 대하여 기능성원료 판매를 위한 대체방안을 설립 할 수 있을까요? 세계의 컨슈머 헬스(Consumer Health) 시장은 비타민과 건강기능식품,운동보조제,체중조절식품,알러지케어, 근육보충제, 허브형 건강보조제를 포함하고 있으며, 이중 운동보충제 시장의 경우 향후 5년간 연 12.3% 의 높은 성장율을 보일것으로 분석하여 발표한바 있다. 유로모니터에서는 성숙기에 접어든 한국 소비건강 (Consumer Health) 은 비타민 및 건강기능식품 시장, 허브형 건강보조제 시장에 있어 각각 4위를 기록했으며, 1인당 평균 소비량은 세계 3위임을 발표했으며, 비타민과 건강기능식품에 주목해야한다고 밝혔습니다. 저성장,안정화 단계의 시장, 대규모 라인업 전략의 종합브랜드 보다는 확실한 컨셉의 1~2가지 제품으로 공략. 현대 소비자들은 가치소비를 지향하는 경향과 함께 건강기능식품에 대한 지식수준이 높아졌다. 이에, 과장 및 허위 광고, 높은 가격 또는 터무니 없는 할인가는 소비자의 신뢰를 잃을 수 있는 요인이 되므로 거짓과 과장 없는 정보, 적정가격을 통하여 주원료를 메인으로 기능별 세밀한 라인업의 개인 맞춤형, 이너 뷰티, 눈건강 등소비자들의 ‘치료’가 아닌 예방차원의 “Healthy life style” 의 구매욕구를 충족할 수 있어야 한다. According to the 2018 EPI rankings, Korea is sixty grade in 180 countries. 2018년 EPI에 의해 발표된 한국 랭킹은 60위로, 기존에는 미세먼지에 대한 인식이 봄*겨울에 일시적으로 겪는 현상이였으나, 2018년 기준에 의하면 11월~3월 봄겨울 시즌은 수도권 중심의 오염도가 높고 5월~8월 여름 시즌에는 한국 남부 지역 (영남)에서 오염도가 높은 상반되 양상을 보이는것이 확인 되었다. 이에 따라, 소비자들이 미세먼지에 대한 심각성을 인식 하고, 미세먼지를 피할 수 없는 점에 대하여 예방 또는 대체 상품들에 대하여 많은 관심을 가지고 있다. 따라서, 아직 국내에 소개 되지 않은 섭취형 ” 미세먼지로부터 피부를 보호”할 수 있는 Zeropollution 에 대한 2019년에 시작되는 행보가 주목되는 바이다.